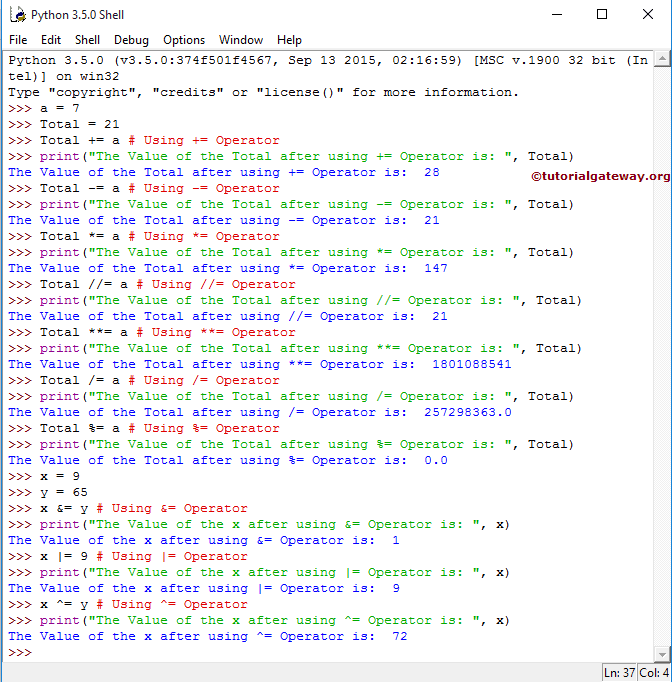 Below table displays the list of available assignment operators in Python language. In this Python Assignment Operators example program, We declared 2 integer values a, Total and we assigned values 7 and 21 respectively. In the next line, We declared 2 integer values x, y and we assigned values 9 and 65 respectively.